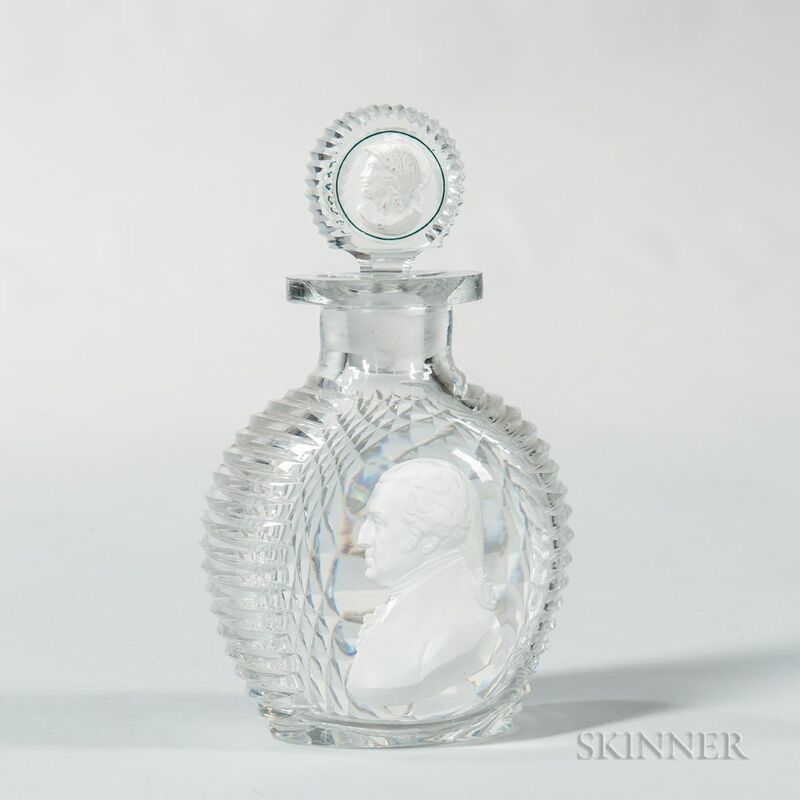 Apsley Pellatt-attributed Cut Glass Decanter with Sulphide Bust of George Washington, England, early 19th century, bulbous decanter with ribbed sides, the front with bust of Washington facing to the left, the stopper with classical figure on one side and classical scene on the other, ht. 7 in. 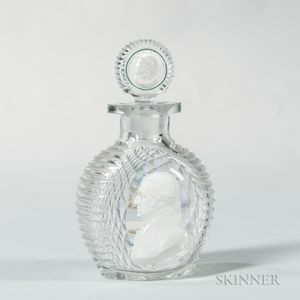 several very minor chips to outer rim, two very small chips to bottom of stopper (not seen, as they are inside the bottle), small 1/2-in long scratch below and to right of GW.